The Senate Aging Committee has a hotline for seniors to report fraud, whether they are suspected frauds or you believe you are a victim of a fraud. It is 1-855-303-9470. According to Treasury Department officials, lawmakers were told that as of Feb. 15, more than 10,000 people had reported falling prey to the IRS Impostor scam this year. 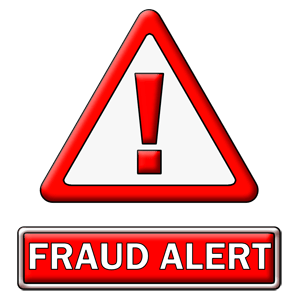 Apparently, it is the top complaint about relentless fraudsters attacks on senior citizens, followed closely by the lottery or sweepstakes scam. The IRS is under attack by the fraudsters! Therefore, due to the scammers’ success in identity theft, refunds may be delayed up to three months. This will give the IRS time to verify that it is really you, and not some scammer who has illegally obtained your personal information and is filing to obtain your refund. This is also known as identity theft. One of the complaints received is intimidation. This is where a citizen is told that a mistake had been made. A caller who identifies as an IRS agent threatens that if the error is not immediately rectified by paying the amount specified, a U.S. Marshal will come to the person’s home to arrest him. Or, they may say that a local police officer will appear at your door. The red flag should become apparent when the pseudo-agent requests that the citizen purchase iTunes cards at the nearby CVS in the amount that is claimed to be owed to the IRS. Previously, the request was for money orders. The IRS has an Identity Protection Specialized Unit you may contact at the following: Online at IRS.gov/identity theft, or you may call 1-800-908-4490. If you have already filed, you may check on the status of your refund at IRS.gov/refunds. The IRS wants you to know that if you have caller ID, the fraudsters can spoof or rig your caller ID to make it appear as an IRS or government number calling. If you have doubts, the IRS has provided a number for you: 1-800-829-1040. Lastly, the IRS has a help line: 877-908-3360. The scammers know that it is disturbing to receive notice that you owe the IRS money. Do not be intimidated. Do not be quick to give your savings to a caller who claims that you must immediately pay. The IRS will not demand payment over the phone; the first communication will be made through the U.S. mail.